It might be because the weather is inching towards cold and brittle, or the fact that your hair naturally leans to the drier side, but picking the right shampoo can go a long way into mitigating your dry hair woes. Some shampoos can actually do you more harm than good, stripping off your hair’s natural moisture in the process and leaving you with a greater likelihood of an itchy scalp, dandruff and split ends, to name just a few symptoms of dry hair. And then there are those shampoos which gently cleanse out your locks, replenishing nutrients which might get washed out and leaving them lustrous, healthy and fresh. Check out some of our favorites, hand-picked to help you battle your dry hair concerns. Drying hair is a common side-effect of indulging in a dye-job, the longevity of which depends on the color-preserving power of the shampoo you’re using. Fortunately, this product is formulated to meet just those needs. Providing a luxuriously gentle cleanse, the shampoo is infused with incredibly nourishing and moisturizing ingredients, including hair loving maracuja oil and cypress extract, as well as argan oil to leave your hair sleek, shining and frizz-free. Also packed with amino acids and the natural exfoliant bromelain, to gently work the dead cells off your scalp, this shampoo strengthens your hair from the roots, rich with ingredients to leave your locks looking their best. Devoid of parabens and other potentially harmful chemicals, this vegan and cruelty free shampoo also promises some extra UV protection for your hair, perfect if it’s just recovering from a dye-job to keep the color fresh and your hair healthy. As proclaimed in the name, this shampoo promises to sate the thirst of dried out hair with a helping of moisturizing ingredients, among them almond butter, revered for its hydrating and repairing properties. Formulated without parabens, mineral oil, petroleum and other potentially harmful chemicals, as well as certified cruelty free, other ingredients on this shampoo’s résumé include sage leaf extract to improve your hair’s integrity and resilience from the inside, and to pamper your scalp and quench any dryness concerns. Chamomile also keeps the circulation going in your scalp, encouraging healthy blood flow and therefore skin-cell renewal and proper delivery of nutrients to your roots, doing away with any irritation or itchiness. Imbued with the super-moisturizing properties of jojoba oil, one of the more revered essential oils for its supremely healing and pampering goodness, as well as coconut oil to work dry hair back into a healthy, soft sheen, this may be the perfect treatment to rejuvenate dull, dry or lackluster locks. The shampoo also packs cornflower and mallow extracts for an additional dollop of nourishment, enhancing the natural resilience of your scalp and the softness and shine of your hair. The brand recommends the shampoo be used for two lathering sessions on your hair-care days – the first cleanses, whilst the second pampers and nourishes any dryness or damage concerns. Lo and behold, you’ll notice a visible difference after just the first use. 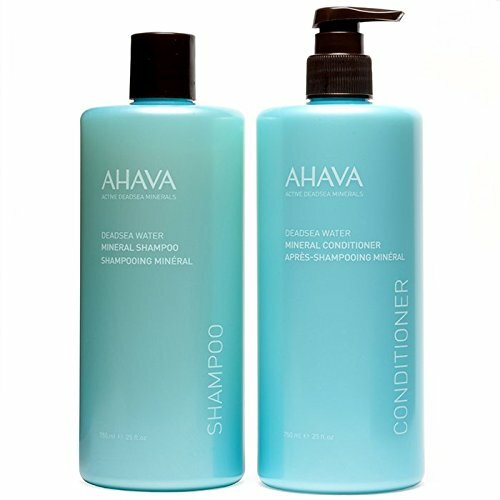 Get double the duty with this set, the shampoo formulated with mineral spring water, glycerin and dead sea water among other hydrating ingredients to give your hair a thorough cleanse, while the conditioner follow-up contains the nourishing properties of crambe abyssinica seed oil to heal and repair, among others. Both shampoo and conditioner also contain aloe vera gel, a supremely hydrating, anti-bacterial, anti-irritating natural ingredient with a bucket-load of nourishing and repairing properties. 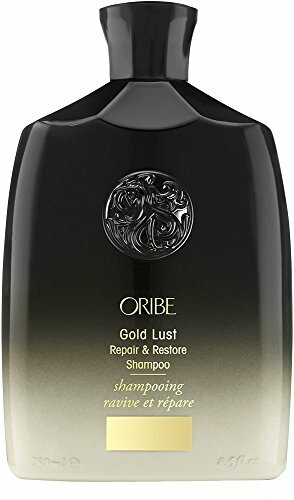 This light, gently cleansing and treating duo comes with a pleasant fragrance, and is suitable for the upkeep of dyed hair, keeping your tresses soft, smooth and sleek with its thirst-quenching formulae. Intuitively, the first thing to look for when it comes to repairing or preventing dry hair damage is a shampoo that is hydrating. The best hydrating and moisturizing shampoos are often infused with essential oils like jojoba, almond or olive oils, or naturally occurring ingredients like green tea or aloe vera, famous for their superior moisturizing and repairing properties. Shampoos with natural ingredients higher up the ingredient list are generally likely to be more organic and therefore friendlier to your hair, though it’s important to check if the list also includes parabens, sulphates or alcohol. Some of these chemicals have been associated with harmful health concerns, and can actually irritate the sensitive skin of your scalp and strip away your hair’s natural sheen and health. While many great shampoos do contain parabens and sulphates, and there is not enough evidence to suggest parabens pose any potent long-term health concerns, they can still be troublesome to anyone with sensitive skin or hair – where possible, opt for vegan and organic options, since it’s better to be safe than sorry. It also helps to look out for shampoos which combine cleansing and treatment into one package, rather than necessitating you investing in a bunch of serums, hair masks and conditioners to keep your hair properly hydrated. Multifunctional cleansers can both gently rinse out your hair, without excessively drying it out, while at the same time working to heal and revitalize it from the inside out. Look out for shampoos with natural anti-irritants and reparative ingredients such as chamomile, argan, or coconut essential oils – among many others – high up the ingredients list. The higher an item is on the ingredient list, the more of an active ingredient it is in the shampoo. If it is farther or significantly lower on the ingredient list, the amount included is likely to be too little to count. Other components to keep your eye out for are vitamin complexes and amino acids. Our hair is made of keratin, a type of protein, and amino acid complexes can help build up the strength of your locks from root to tip by boosting keratin production, and improve and repair your scalp. Vitamins, particularly B-complexes, are essential for the growth of healthy, glossy and thick hair as well.